The Cambridge Cameo dates from the 1920s. The text is clear and readable yet the Bible is still small and compact. There are pronunciation marks, cross-references, a concordance and maps. 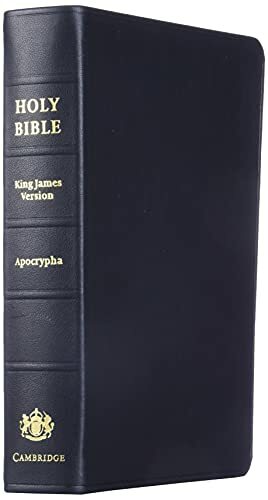 Unusually for a modern KJV Bible, this edition includes the Apocrypha. It is printed on India paper with art-gilt edges and bound in black calfskin.